The Award-Winning Entertainment and Media University Aligns with International Digital Festival to Promote Orlando as a Global Leader in Entertainment Technologies, Simulation, Digital Arts and Interactive Media. OrlandoiX, an international digital festival to be held in Orlando, Fla. on Oct. 2 – 6, 2015, announced today Full Sail University as Presenting Sponsor. Full Sail University, an award-winning educational leader for those pursuing careers in entertainment, technology, gaming, art and media, aligns itself with OiX to promote Orlando as a global leader in entertainment technologies, simulation, digital arts and interactive media. Full Sail’s presence at OiX will be felt throughout including at the Gaming Arena on Oct. 3 and 4, when dozens of students, graduates, and faculty will showcase video games that they have personally developed. In addition, the university will be represented in the Digital Expo on Oct. 5 and 6 via the Speaker Series as well as on the exhibit floor. In addition to being Presenting Sponsor, Full Sail joins EA SPORTS; Orange County Government; IZEA; Foley & Lardner; Purple, Rock, Scissors; and OUC: The Reliable One as OrlandoiX Founding Partners. 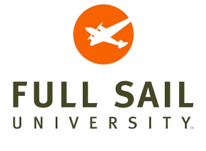 Full Sail University is a Graduate and Undergraduate degree-granting institution offering on-campus and online degree programs in areas related to Art & Design, Business, Film & Television, Games, Media & Communications, Music & Recording, and Web & Technology. Full Sail graduate credits include work on OSCAR®, Emmy®, GRAMMY®, ADDY®, MTV Video Music Award, and Video Game Award nominated and winning projects. For more information about Full Sail, visit: http://www.fullsail.edu, or follow us on http://www.twitter.com/fullsail and http://www.facebook.com/fullsailuniversity. The Orlando Interactive Experience (OrlandoiX/OiX) is an international digital festival to be held in Orlando, Fla. on October 2 - 6, 2015. OrlandoiX’s featured events include a speaker series, gaming experience, startup summit and digital expo that will showcase leading advancements in entertainment technology, interactive media and digital arts. Attendees will include: game developers, designers, producers, animators, artists, programmers, digital marketers, ad tech professionals, tech enthusiasts, national industry media, venture investors and entrepreneurs. The opening party will be hosted at Wall Street Plaza in downtown Orlando on Oct. 2 and the Gaming Arena, Startup Summit and Digital Expo will be held at the Orange County Convention Center on Oct. 3 – 6. Learn more at http://www.orlandoix.com and join the conversation on Twitter, Instagram and Facebook using the hashtag #OrlandoiX15.